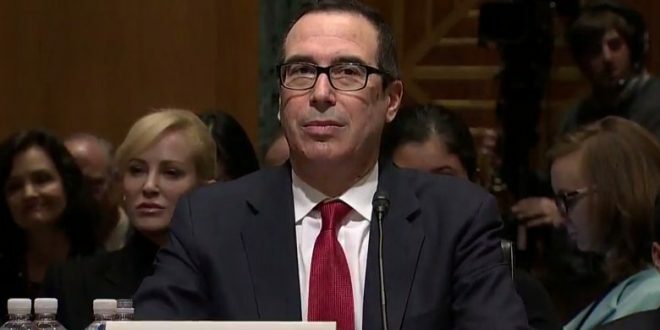 Trump Furious With Steve Mnuchin Over Plummeting Stock Market: If He's So Good, Why Is This Happening? - Joe.My.God. Trump Furious With Steve Mnuchin Over Plummeting Stock Market: If He’s So Good, Why Is This Happening? President Trump has been expressing dissatisfaction with Treasury Secretary Steven Mnuchin, the Wall Street Journal reported Friday. Trump reportedly blames Mnuchin for backing Federal Reserve chairman Jerome Powell and for recent volatility in the stock market. The president has publicly sounded off on Powell’s decision to raise federal interest rates, claiming that it’s endangering the country’s economic growth. According to the report, Trump is also pinning the turbulent stock market on Mnuchin. The president said, “If he’s so good, why is this happening?” someone familiar with the matter told the Journal.